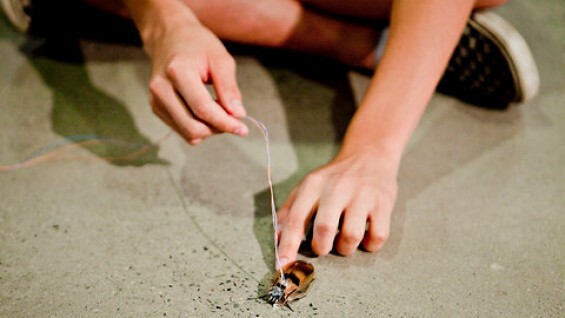 High school students developed "RoboRoaches" to learn about engineering. As one of the fascinating neuroscience projects taught in Professor Uglesich's class during the Summer Internship Program, the budding scientists—coming from New York City's five boroughs—built sensory prosthetics for Central American Cockroaches so that they could better understand how the brain reacts to stimuli. For those who are not skittish when it comes to insects, you can read about the fascinating work in The New York Times.